One of our favorite places to dine at the Walt Disney World Resort is undoubtedly Be Our Guest restaurant located within the Beast’s Castle. We love the ambiance most of all, but the food is delicious regardless of which meal you eat. You can book breakfast, lunch, or dinner and will likely enjoy any one of these options. Are you visiting Disney, Universal, or ANY vacation destination in the future? We have some amazing all-inclusive packages available and can save you time and money so you and yours have the best time! After all, one of us is a former Disney Cast Member, and as a husband and wife team we travel the world in search of the best destinations possible. Fill out our form HERE to receive your FREE quote. Our services are completely free for you to utilize and you will get YEARS of experience on your side when booking with Moffits- Mad Hatter Adventures. The Music of PIXAR Live at Disney’s Hollywood Studios- Dining Packages Announced! As of today, April 27, 2017, Disney has announced the eagerly awaited dining packages for The Music of PIXAR Live at Disney’s Hollywood Studios. We anticipate that these will fill fairly quickly, so don’t hesitate. We are booking these packages already for our amazing Mad Hatter Adventures clients- check our Facebook page for updates, pics from the parks, and up to the minute Disney deals! Beginning May 26, 2017, you’re invited to indulge in The Music of Pixar Live! Dining Package—which includes one of many unforgettable dining options at Disney’s Hollywood Studios, along with reserved seating at the Theater of the Stars for the park’s all-new evening entertainment. A showcase of popular Disney•Pixar songs, The Music of Pixar Live! features soundtrack selections from films like Toy Story, Finding Nemo, Monsters, Inc. and Up, as performed by a live orchestra. Plus, while the symphony plays, you can watch in wonder as it all comes together with movie montages, outtakes and interview clips from the very folks behind the music! Featuring great food, cherished music and an atmosphere like no other, The Music of Pixar Live! Dining Package is a one-of-a-kind experience—one you won’t forget… and one you surely won’t want to miss. 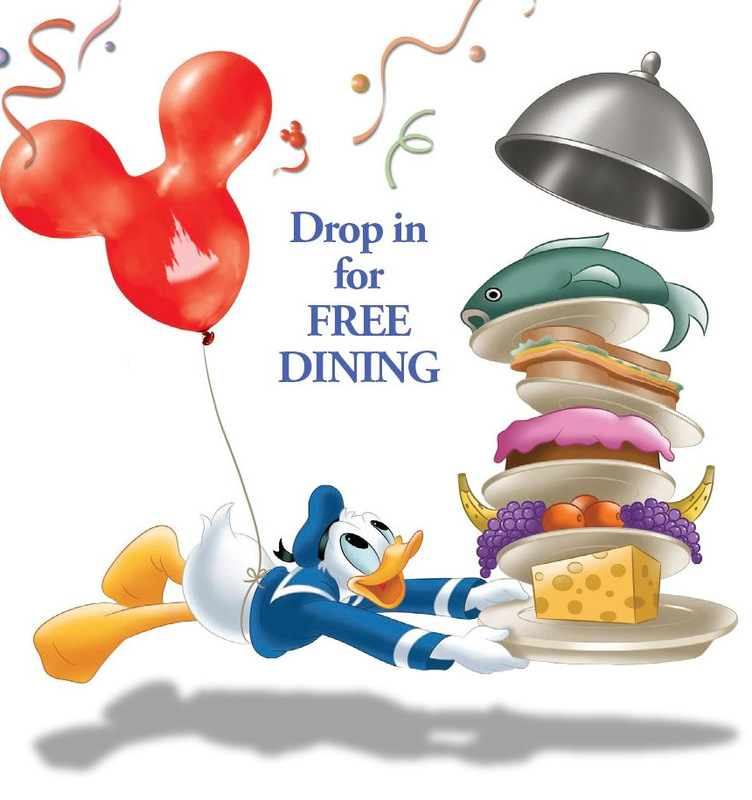 For reservations, please book online or by calling (407) WDW-DINE or (407) 939-3463. All prices listed do not include tax and gratuity. Some dining plans are accepted—with one table-service entitlement required at Hollywood & Vine and Mama Melrose’s Ristorante Italiano, and two required at The Hollywood Brown Derby. But wait- there’s more! A package which offers seating for both The Music of PIXAR Live and Fantasmic is also available for you and yours to enjoy.